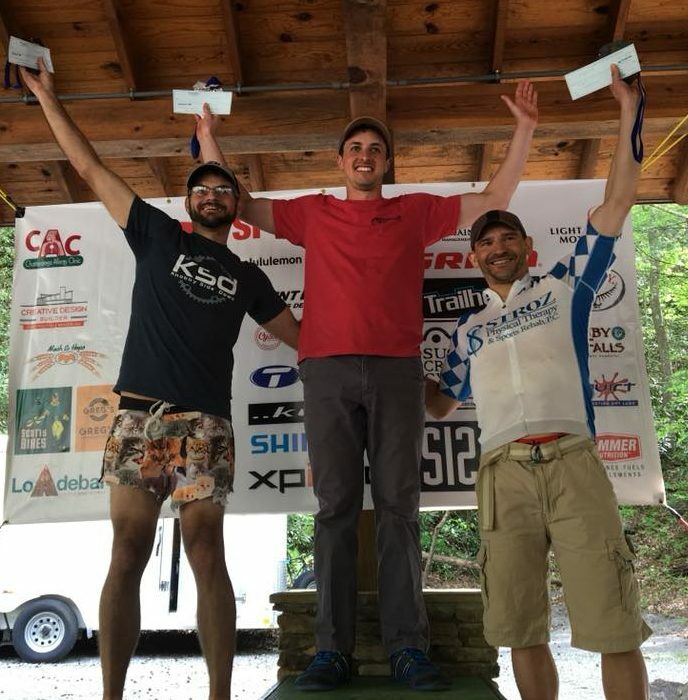 On April 28, 2018 Roost Racing, LLC held the Cohutta 100 (NUE Epic Series), Big Frog 65 (NUE Marathon Series), and Old Copper 20 in Ducktown, TN. This was stop number two on the 2018 National Ultra Endurance Series (NUE) race schedule. These races were held at the Ocoee Whitewater center, a venue that hosted the kayak/canoe slalom competitions at the 1996 Olympic games. Nestled within the Cherokee National Forest racers traversed through sections of Brush Creek, the Tanasi Trail Systems and miles of fire roads. 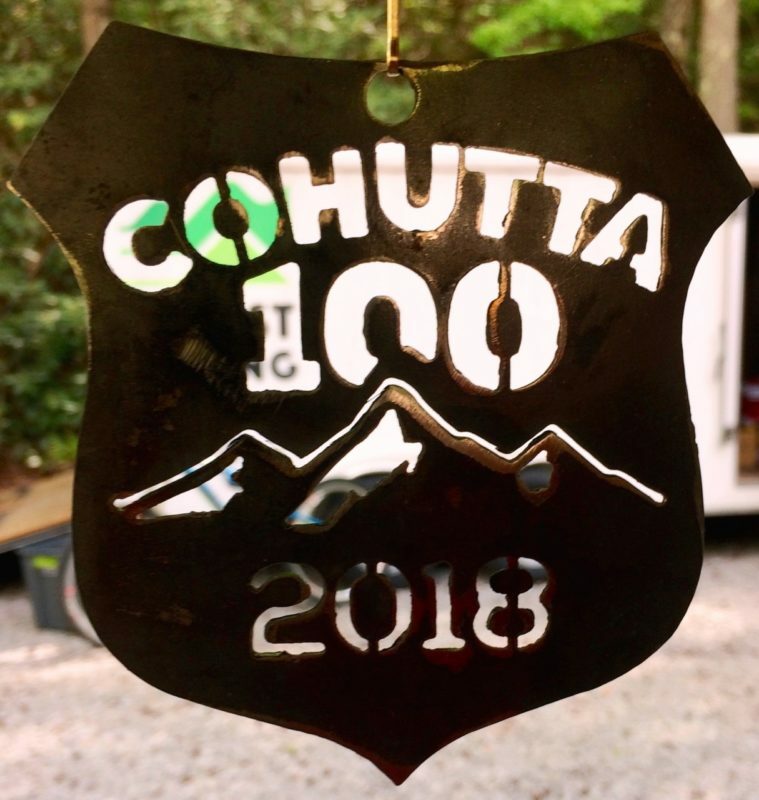 The Cohutta 100 had over 12,000 feet of climbing and included a huge gravel loop that was cut out last minute the previous year. Rain the previous day had some racers worried, but the trails were in prime condition. It was a little chilly at the start but the sun peaked out and warmed up to mid 60’s for most of the race. Couldn’t have asked for better racing weather! Defending NUE Epic Champion Dylan Johnson (Leska MTB Racing) wins the Men’s Open with a time of 6:43:38. Christian Tanguy (RBS Cycling Team) comes in second just three minutes back at 6:46:34. Third place was Brian Schworm (Think Green-Bicycle Face p/b SWORD) coming in at 6:54:40. 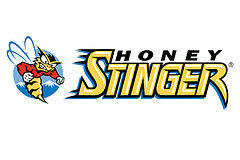 “I arrived at the Ocoee Whitewater Center on Friday to beautiful weather. It can sometimes be a bit unpredictable down there with many past races taking place in downpours but this year things looked great. It had rained the previous day but my teammates and I found most of the course to be in primo condition during our preride with the exception of the Old Copper Trail which is always at least a little bit wet. Anyway, we had a great preride, checked in at registration, and parted with our drop bags for the next day’s festivities. On race morning it was quite chilly but things heated up quickly once the race was underway. We rolled up the opening climb at a modest pace with a mad scramble to the beginning of the singletrack. I found myself in third position which was perfect for this beginning trail section. Once we raced for approximately 90 minutes we popped out at the first aid station and started the 68 mile “Death March” gravel loop. There were approximately 8 or 9 riders together as we started our journey around this loop including Christian Tanguay, Dylan Johnson, John Wiygul, Alex Hashem, Lee Hauber, single-speeder John Haddock, my teammate Nathaniel Cornelius, and myself. During a “moment of inattention” the paced quickened and I found myself off the back of the group and scrambling to catch back up. I caught the main group but Christian and Dylan were gone. My teammate Nathaniel helped to pace me for a while but then I was on my own to chase them down. With all my might I chased but made no progress whatsoever. After a bit of discouragement and a “bad patch”, John and Alex joined me and we worked together through most of the remaining gravel loop section and we were hearing time gaps of nearly 20 minutes to the leading duo. Once we joined the Big Froggers on their 65 mile journey I hammered the last couple of gravel climbs and the following singletrack to the finish. I was able to decrease the gap to the leaders somewhat but it was too little too late. I finished third with John and Alex not far behind finishing fourth and fifth, respectively. Cantwell gets her first Cohutta 100 win! 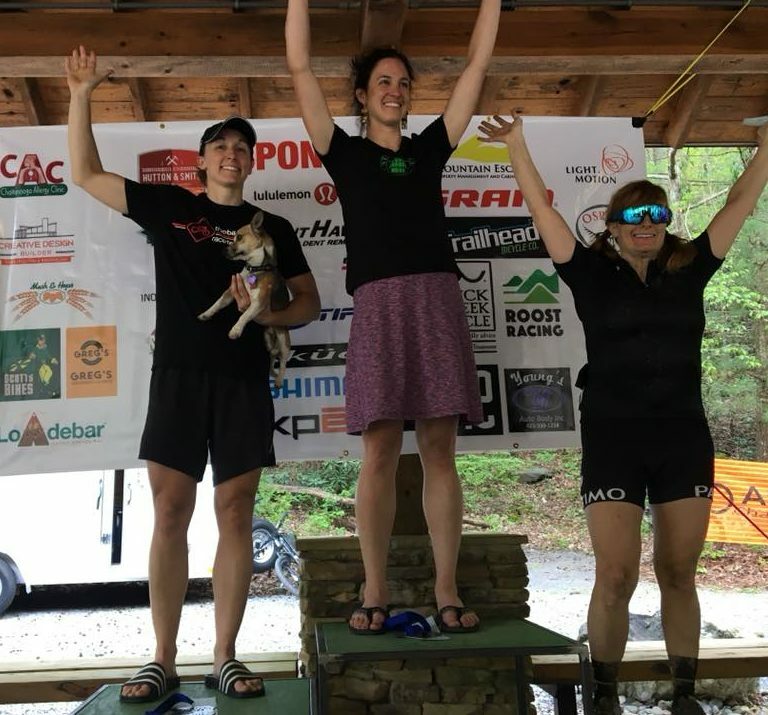 Lauren Cantwell (Moonstompers/Stokesville Lodge) wins the Cohutta 100 women’s open with a time of 8:04:58. Second place was Britt Mason (The Bike Lane) 8:46:41. Taking the third podium spot was Heidi Coulter (Paradise Garage Racing) 9:33:45. Winning the singlespeed division by an astounding 35 minutes was John Haddock (J.A. King) coming in at 7:22:02. Kenny Kocarek (Kobby Side Down) took the second step with a time of 7:57:31. “At the start line I was so grateful for cooler temps compared to the heat wave of last year. The countdown to the start came and the neutral car rolled out and as I stood to sprint out of the gate and spin my singlespeed like a hamster through the parking lot then I nearly ran into the row in front of me! The start seemed very relaxed even some conversations were going on up the initial road ascent. I stuck with fellow Ohio SS’r Peyton Randolph and we creeped up toward the middle of the main group and then the first roller hit and we we’re stuck spinning and tucking and as the lead group revved their quads up they put us in our place at the back. We entered the singletrack slightly behind the main group to a relatively open trail in now we know was 2nd and 3rd in SS. We kept a good pace until Peyton endoed and flew off the trail like an 1980s metal tipped lawn dart. I saw him bounce up and say he was ok and kept rolling onto the “river” trail and hooked up with another Ohio rider Michael Gottfried. His huge legs parted all the water puddles for me and pulled me all the way to aid one where it seemed like we were a little behind the main group. I was looking forward to having a partner for the massive gravel roads ahead however on the first descent I see Michael pull off the road and starts putting his chain back on his bike (geared bike problems) with all the road I figured his gears would catch up soon enough and I continued on. Little did I know since this was the first time on this course that I would be climbing for the next 20 miles!! It was fun until about mile 45. I started to fall behind on nutrition and slowing up the pace of my grind luckily the drop bag station 3 came up and I reloaded and got my groove back. From there on I was solo until merging into the big frog course and had carrots to chase. I got to the last aid station and they informed me I was top fifteen. Adrenaline kicked in on the singletrack and I enjoyed the ride till thunder chicken and since I did not see anyone pursuing and throttled down because I knew I was in a good spot and did not want a flat tire to ruin it! At the gravel I was at 750 something and decided sub 8 would be good regardless what position I was in so I pushed it for a finish time of 7:57 and found out 2nd place which is a huge improvement on my 13th place the prior year! Third place was Joseph Stroz (Stroz Physical Therapy & Sports Rehab) 8:08:09. Winning the Master’s 50+ Cohutta was Brad Cobb (Motor Mile Racing) 7:20:21. 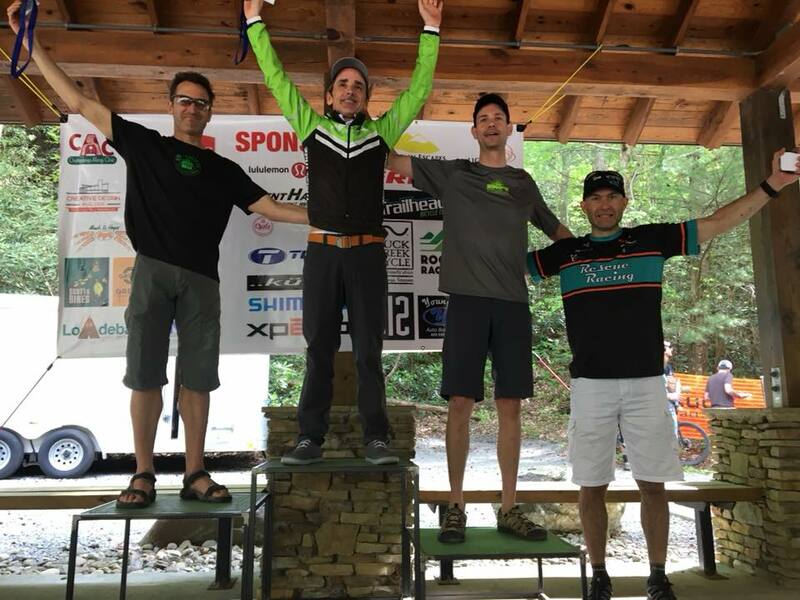 Following a second place finish at Cohutta in 2017, Roger Masse (Stokesville/Shenandoah Mountain Touring) finished second again in 2018 in 7:51:48. The third spot went to Russell Spaulding (TFM Racing) 8:05:04. 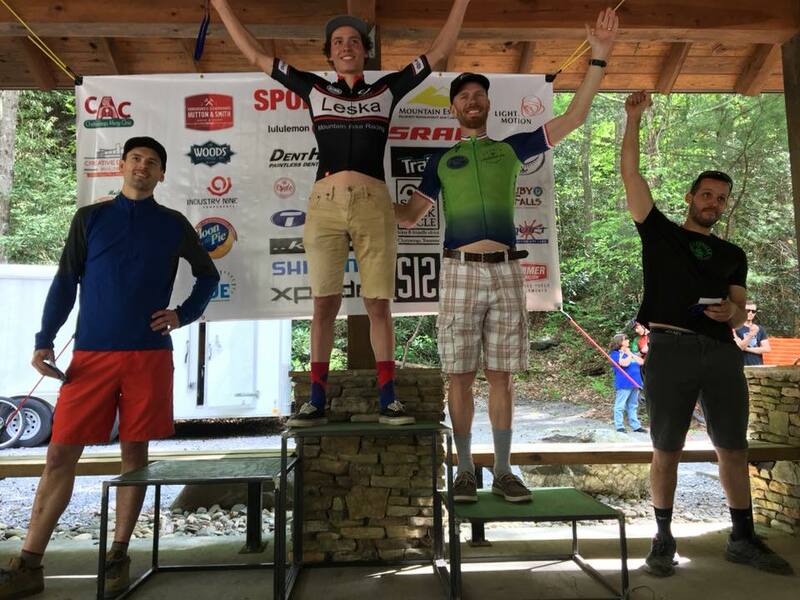 The next NUE race is Mohican MTB 100 on June 2, 2018 in Loudonville, Ohio. Hope to see you there!